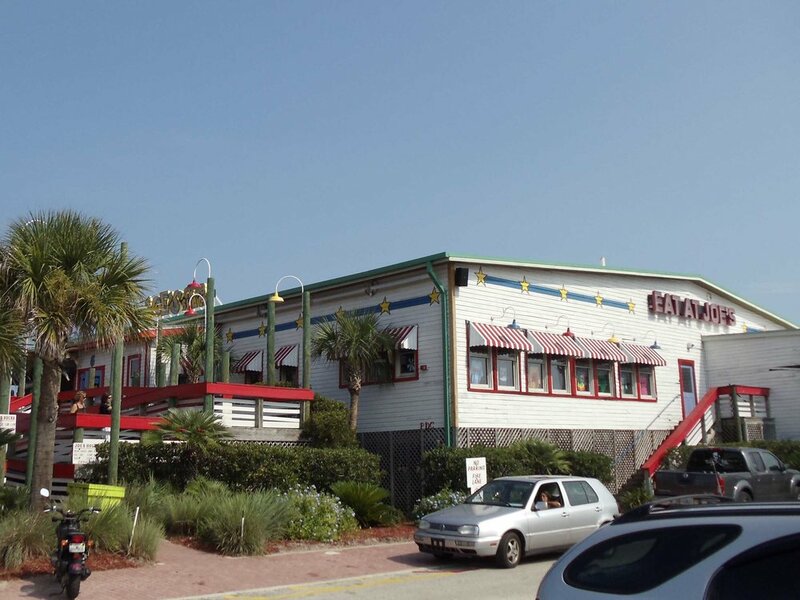 Joe's Crab Shack is a Florida beach bar located in Jacksonville Beach. Discover this great Florida beach bar. Joe's Crab Shack is definitely more restaurant than bar but mostly because it doesn't have live entertainment. However, It is located right on Jacksonville beach. It has a bright Florida beach bar look and the local beach crowd make it a fun and lively beach bar. There is outdoor seating that overlooks the beach. If you have spent the day in the sun, you can walk right up to Joe's Crab Shack from the beach. So, it is on the beach, it has a full bar and it has good food. The music is loud and current. It just doesn't have live entertainment. You will enjoy yourself. Sometimes location is so good, we have to mention it.